How’s Budweiser Gardens Looking These Days? Budweiser Gardens sit’s downtown, London and brings all kinds of entertainment to this great city. But, how’s it looking these days? With a mission to help showcase London to the world through photography, I couldn’t help but look around the web. No, I don’t believe Budweiser Gardens is falling apart or anything like that. I mean, it’s yet another building I search for and can’t find some modern architectural photos. I’m talking photos that add value to our downtown appearance and could even represent such a venue for years and years. My Aeolian Hall photo (found here), shot on a photo walk in 2009, is still being used by the Aeolian Hall. I’ve actually been seeing that photo used in a number of places recently and yet I’ve never been contacted about its use. I’ll need to discuss that in another post. The point is, you can use great photos for many years and with huge flexibility. Yet, awesome photos are hard to find. 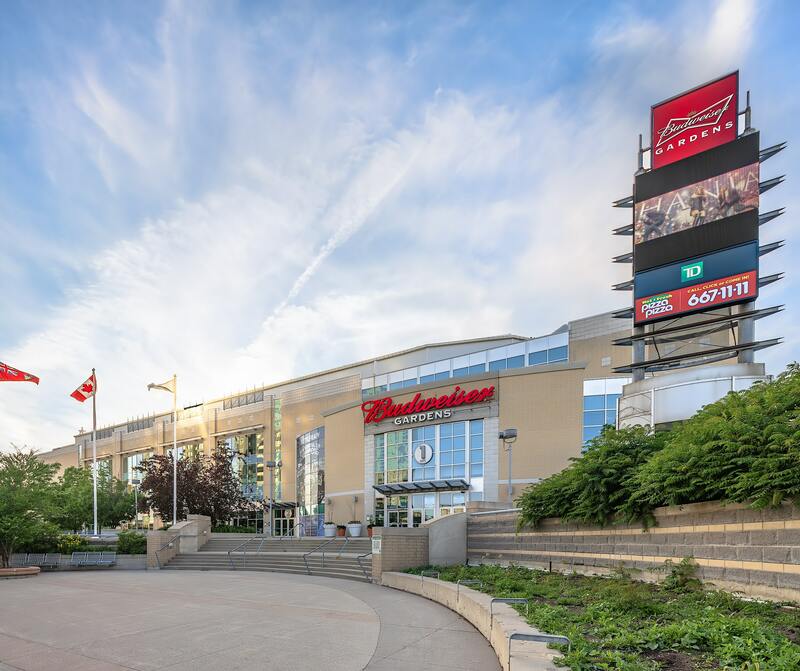 I’ll admit, I haven’t spent hours upon hours of time searching for photos of Budweiser Gardens. I know there are probably good ones out there, maybe. The photo of the intersection of Dundas & Talbot Street is pretty popular, but things have changed there and it’s going to even look even more dated once Dundas Place is finished. 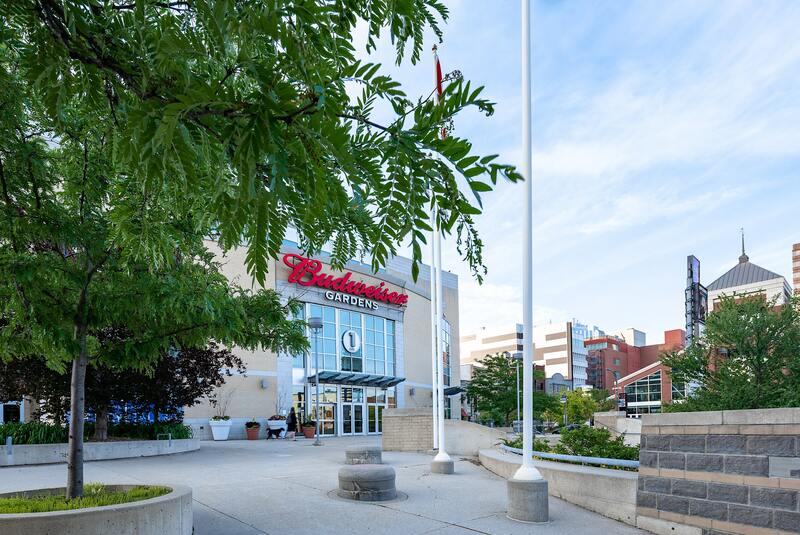 I’d like to share 3 of my recent spring photos of Budweiser Gardens, looking towards Gate 1. These were captured for a client to review, but I’d like to share them with you. They aren’t perfect, but I believe they add value to London’s presence. They don’t have any gimmicks and I didn’t have top secret access to shoot them, ha. My photos are a result of slowing down and taking a few extra minutes to make some photos. I photographed these photos of Bud Gardens right after the images of The Covent Garden Market. I like how the building is backlit, but I wish the site had been busier with people at that time. How’s Budweiser Gardens Looking Here? 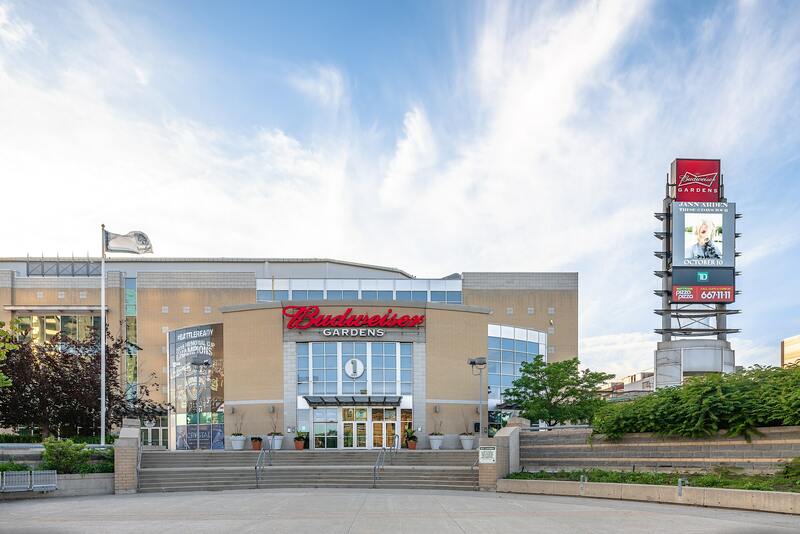 There are other angles and vantage points to explore around Budweiser Gardens. Right now, Dundas street is ripped up and in-progress to become Dundas Place. Photos from Dundas St will have to wait until construction is finished. And, I’m okay with that. I feel these photos show the building in a modern, fresh way. I’m always interested to hear if you have any thoughts regarding these images. Drop some comments or constructive criticism below.